Check out these Performance Videos! This is a fast paced approx. 20+ minute show with magic and puppetry. Then an approx. 10 minutes of photos with Jax the parrot. This is a fast paced approx. 45+ minute show with magic and puppetry. Then an approx. 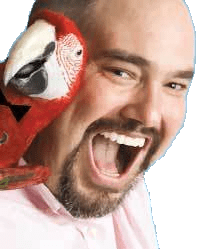 10 minutes of photos with Jax the parrot. This is a fast paced approx. 45+ minute show with magic and puppetry. Then a second balloon show for up to 15 kids. It wraps up with an approx. 10 minutes of photos with Jax the parrot. Captain Kid performs his Family’s Magic shows in Raleigh NC, Durham NC, Cary NC, Wake Forest NC, Clayton NC, Garner NC, Chapel Hill, and Fayetteville NC and will travel to other locations!